Thomas Mahoney (GA #2114), a senior studying Civil Engineering from Savannah, was looking to expand his network in both the professional community and the Sigma Nu community. Through his mentor relationship with Frank Spears (GA #1326), consisting of regular emails and monthly lunches, he has been able to visualize a plan of action for after graduation to reach his long-term goals in his professional and personal life. What a Homecoming weekend for the record books! Tech won in an exciting last-minute blocked-field-goal-turned-78-yard-return-for-a-touchdown win over Florida State. The Gamma Alpha Alumni Association is pleased to invite you to join us Friday evening, October 23 (GT Homecoming weekend) for our annual Gamma Alpha Alumni Reception. This event is FOR ALUMNI OF ALL AGES! If you haven’t attended this event in recent years, you don’t know what you are missing – we have a great turnout and a fantastic time every year! What's Your Best Football Story? The GT football experience is unlike any other, and we know you have some great memories you’ve shared with fellow brothers at games, tailgates, or pre- or post-game parties. Share your best Sigma Nu football stories—either from your undergraduate days or a more recent reunion. Click here to join the discussion. In order to continue a thriving alumni program, it is our goal to have every brother donate $100 every year, at a minimum. Your gift helps to maximize the alumni experience, through great events, frequent communications, and a solid alumni network. It also helps us guide a strong active chapter, continuing our historic legacy on campus. To date, we have received generous donations from 104 alumni contributors. Will you help us reach our goal by the end of 2015? Click here to make your donation. We're working on the fall issue of Rose & Star and want to share your news, updates, memories, and photos. Click here to make your submission for our upcoming issue. Every year, you’re asked to give back to Gamma Alpha of Sigma Nu, and you may be asking WHY? Why should I give back?and What’s in it for me? It’s the answer to these questions that will keep our brotherhood strong, connected, and active through the years to come. Giving back has invaluable benefits that remain steadfast year after year. The active chapter had an amazing fall rush, with 28 rushees accepting their bids. This new pledge class is very diverse, with guys from around the globe. Only 11 of the 28 new members are from the state of Georgia, with four countries other than the US being represented by the remaining 17. The chapter is excited about the future of these young gentlemen and can't wait to see them grow to be campus leaders and continue to push Gamma Alpha in the right direction. Frank Roberson '89, sadly reports the passing of his father, Carl (Rob) Roberson (GA #1080). “My father was a great man and was most proud of his association with Georgia Tech and Sigma Nu,” says Frank. Click here to read the full obituary. We'd also like to thank Ken Byers and the Byers Engineering Co who have made a generous donation in Honor of Colonel Carlton "Rob" Roberson to the Sigma Nu Housing Corporation. The gift will assist in helping pay down the mortgage on the new Sigma Nu house. Erwin Schemankewitz '12 has taken an unconventional career path following his graduation from Georgia Tech: he landed a gig as a booking agent and manager in the music industry. In this Q&A, Erwin shares more about his lucrative career and how his Sigma Nu experience helped him get to where he is today. Congratulations to Alex Zdanov ’18 for his receipt of the 2015 IFC New Member Scholarship, an award worth $1,000. In this Q&A, the Electrical Engineering major from San Francisco weighs in on his new member experience with Sigma Nu, and how the brotherhood helped him to earn this achievement from the Tech Greek Life office. Will you be at Bobby Dodd Stadium this season for big games like FSU and Georgia? Or plan to make the trek to South Bend to watch the Yellow Jackets take on the Fighting Irish? Share your football tailgate and travel plans with fellow Gamma Alpha brothers on the discussion forum. Did You Find Career Success Thanks to Sigma Nu? According to Blueprint, 1955 was quite a year for the Serpent crew, with great parties, some notoriety stopping by 750 Fowler Street, and many brothers standing as leaders on campus. Congratulations to Alex Zdanov for winning the IFC New Member Scholarship of $1,000! He displayed excellence in all the criteria for the award: leadership, academic achievement, and involvement. Look for a full profile about Alex in next month’s issue. Sigma Nu alumni have something special to pass along to our undergraduate brothers: invaluable mentoring and career advice. Last school year, the alumni association created a mentor program for the Sigma Nu actives, which turned out to be a great success. As a result, we are launching another round of pairings between alumni and actives. The purpose will be for each alumni mentor to be available to their active mentee for advice and guidance over the next 12 to 18 months. Several alumni brothers have already signed up for the second round of mentoring, including Adam Fuller and Scott Hall. Both say that they want to help groom the next generation of Sigma Nus by sharing their life and business experiences. Can you believe it's been 30 years? Back in 1985, Sigma Nu placed fourth overall in athletics, taking titles in water polo, soccer, and volleyball. Fond memories of the year include the seventh annual Winnebago trip to Auburn and the ski weekend to Beech Mountain, NC. The White Rose formal and Spring Island Party proved to be the two wildest nights of the year. Brother Kelly McKeague GA 1493 has at one time been identified as “pledge,” “cadet,” “IFC president,” and even “eminent Commander” in his time at Georgia Tech. These days, he is addressed as major general, a promotion he received from the U.S. Air Force in 2008 and a status that a select few officers will ever receive. Congratulations to Brother Rob Rhinehart (GA #2005) for his recognition as an up-and-coming leader in the food industry, ranking #26 in Forbes 30 Under 30: Food & Wine. College days … here and gone. Kids … babies one day, teenagers asking to borrow the car the next. Before you know it, your honeymoon has turned into your 20th (or 30th or 40th) wedding anniversary. Funny how the time flies, but at certain points, we stop the clock. We do something to make sure we remember the people, times and places that made our lives special. As we approach the midpoint of our 2015 annual fund giving year, we are asking you to do just that. So, CARPE DIEM! Stop for a moment and make a gift that commemorates your Sigma Nu days at Georgia Tech. Click here to make your gift today. Congratulations to undergraduate brother Alex Zdanov for winning the IFC New Member Scholarship of $1,000. According to the IFC, he displayed excellence in all criteria for the award. A new year means it's time to kick off our "Sigma Nu and the Super Bowl" campaign, a reminder to make your annual fund gift in conjunction with the timing of the big game. It is our goal to have every brother give $100/year - every year - at a minimum, and we hope that this annual Super Bowl campaign helps you to remain a brother in good standing every year through your continued support of the annual fund. Annual fund donations enable us to support our thriving alumni association, continue communications, host alumni events, and guide our strong active chapter. We count on your financial support year after year to keep our program going strong. Kick off the new year by making a gift toward our "Sigma Nu and the Super Bowl" efforts in 2015. Click here to make your annual fund donation. It is our goal to have...Every Brother...give $100 /year...every year...at a minimum. To date, we have raised $18,921.00 from 121 of our brothers who have offered their support to the annual fund this year. Thank you to all donors for your continued support! Yet, we are still well short of our goal for the year! We have only received donations from about 7% of our active member population. It takes all of our support to run the Gamma Alpha of Sigma Nu Alumni Association. All of the funds we raise through the Annual Fund go directly into our operating budget. Click here to make your 2014 gift and add your name to the Honor Roll before the giving year ends December 31. Approximately 175 of our alumni are. Well, we're considering them naughty because they haven't kept us updated with their full contact information. How else is Santa Sigma Nu going find them? The Gamma Alpha Alumni Association runs a comprehensive alumni communications program to keep our brothers connected via frequent email and print publications. If you haven't been receiving our snail mail communications, check to see if your name is on the naughty (lost) list. Follow the instructions to update your mailing address information, and that of any other brothers you may be in touch with. Our database is used solely for Sigma Nu communications and will never be traded or sold. The Gamma Alpha Alumni Association and Sigma Nu House Corporation wish you and your family a joyous holiday season and a Happy New Year! We look forward to connecting with you in 2015. 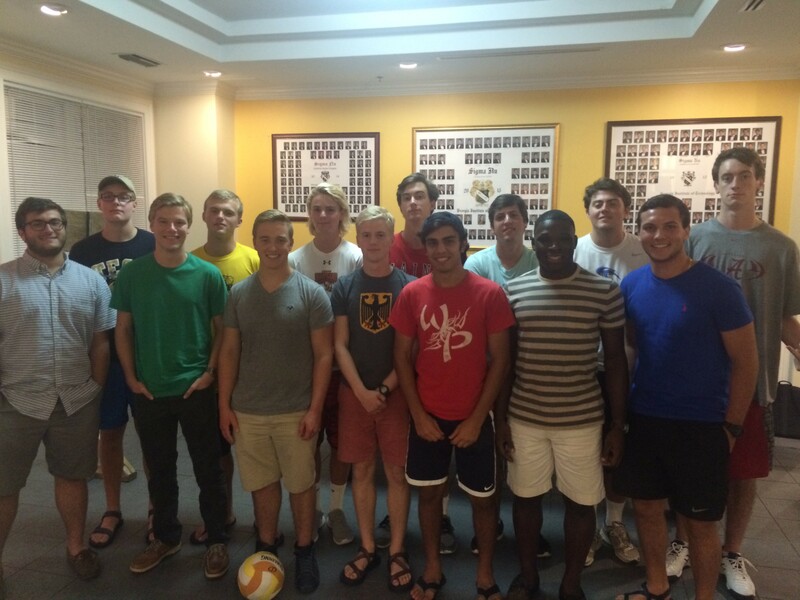 Thank you to the numerous Gamma Alpha alumni who came back to Sigma Nu for Homecoming 2014! Attendees had the opportunity to see the recent Rock Chapter Award presented to Gamma Alpha, have a first-hand look at those of the 72 living past Commanders who were in attendance, and recognize Gary Jones (GA #1290) for his induction into Georgia Tech's Greek Hall of Fame. Click here to view many more pictures of our Homecoming festivities and to share your own. On Sunday November 2, a gathering of active brothers and alumni descended on The North Fulton Golf Course in the heart of Chastain Park in Atlanta for the annual Sigma Nu Alumni Golf Tournament to Benefit the Wiskott-Aldrich Syndrome Foundation. The weather turned out to be perfect for golf and to allow actives and alumni to meet, reacquaint and compete in a friendly match that included prizes for Longest Drive, Closest to the Pin and overall low team score. Food, beverages and golf gifts were provided and everyone seemed to have enjoyed the day. Have you added your name to the Honor Roll yet this year? We're looking within our ranks for our MVPs - most valuable patrons - to help finish our giving year strong. Will you be one of them? Just as Tech's football season is strong, we want to finish with a winning record too. The annual fund serves as the operating budget for Gamma Alpha Alumni Association to maintain our alumni relations program. The more support we have, the more we can do to enhance your alumni experience. As we approach the end of our fiscal year on December 31, we still need to raise $9,000 to exceed last year's annual fund totals. Click here to make your donation and to expand the list of Sigma Nu MVPs as we finish our year. Thank you for your continued support of Gamma Alpha! Join us for the second annual Sigma Nu Golf Tournament to Benefit the Wiskott-Aldrich Foundation (formerly the "For Pete's Sake Foundation"). This year's event is Homecoming Weekend for Georgia Tech, so let's make it a full weekend of Yellow Jacket action. This fall we welcomed 24 of the finest Georgia Tech has to offer into the 2014 pledge class of Gamma Alpha and we are excited to turn them into men worthy of being called Sigma Nu's. Thanks to Brother Adam Fuller (GA # 1701) and his scouring the financial landscape for a deal on a mortgage, we were able to finalize very attractive permanent financing on the house with a long-term mortgage of $1,775,000. Compared to the daunting amount of $5.0 million for the entire project when we started, the brothers of Gamma Alpha have come a long way. We'd like to give special thanks to the following alumni, who made their first-ever gifts to the annual fund this year: William Poole '60, Paul Steinichen '79, and Jason Plamp '03. By making their first gifts, they affirm that their Sigma Nu experience is for life and prove that it's never too long after graduation to begin showing yearly support of the annual fund. To date, we have raised $13,061.00 from 81 of our brothers who have offered their support to the annual fund this year. That's about 7% of our active member population. We are well short of our goal! Did you catch Seven Handle Circus on Conan? Well, rather, on Conan O'Brien's web site, www.teamcoco.com? The band, comprised of mostly Gamma Alpha alumni, had their video premiere of their bluegrass cover of A-ha's 1984 synthpop hit "Take On Me" featured on the web site. Gamma Alpha is excited to usher in the 2014 Yellow Jackets football season on Saturday, August 30 for a 12:30 p.m. kickoff against the Wofford Terriers! The Sigma Nu house will be open before and after the game (it's a great place to spend time waiting for traffic to subside) for alumni and friends. Please feel free to stop in, see the house, visit with friends, and meet our new Fall 2014 Pledge Class. Have you seen the buzz surrounding Soylent, a food-replacement product concocted by our very own Rob Rhinehart (GA #2005)? Rob has been featured in The New York Times, The Wall Street Journal, and even Comedy Central's Colbert Report for his nutrition-packed beverage. Click here to learn much more about Soylent and Rob's business. The Gamma Alpha Chapter is gearing up for another great academic year, with fall rush kicking off on August 14. The brotherhood thanks the alumni who sent rush recommendations to the chapter. Stay tuned to our web site and September eLetter for more information about our fall new member class. News of Gamma Alpha winning a Rock Chapter Award at this year's Sigma Nu Convention. The chapter was congratulated by Georgia Tech President Bud Peterson, VP Bill Schafer, and head of Greek Affairs, Tanner Marcantel. All we can say is WOW...DOUBLE WOW! Click Read More to read the email chain of congratulations. It is with great pride that we announce that Joe Gammie (GA #2032) has been selected as one of ten Alpha Affiliate Award recipients for 2013-14. This is a tremendous honor. Joe will be recognized by the 66th Grand Chapter this summer in Nashville. A note in Joe's recognition letter from Sigma Nu Fraternity, Inc. reads "Your commitment to the Mission of Sigma Nu, as evidenced by your great body of work, is one of distinguished proportion. We are grateful for your dedication to honor and excellence. Your name will be added to the Alpha scrolls alongside Founders Hopkins, Quarles and Riley." Alex Brown (GA #1759), president of the Gamma Alpha Alumni Association, has been named one of the Top Mentor Jackets of the Year by the Georgia Tech Alumni Association. Mentor Jackets is an alumni-to-student mentoring program supported by the GT Alumni Association and the Student Alumni Association and is a valuable, impactful, and rewarding way to volunteer for Ga Tech. Current Tech students are paired with Tech alumni in a year-long program where alumni have the opportunity to influence their mentee's personal and professional development. Mentoring young students comes naturally to Brother Brown, who has been providing guidance and direction to young Gamma Alphas for over 7 years now. Congrats Alex Brown...it is Brothers like you that makes Sigma Nu so special. Thank you to the most recent donors who added their names to the 2014 annual fund Honor Rollin the past few weeks, including Randy Blackmon (GA #1627), Edward Owen (GA #560), Michael McCloud (GA #1562) and Trae Pop (GA #1825). Thanks to the support of all of our 2014 donors, we have been able to maintain our alumni communications this year, provide support to a thriving active chapter (which boasts an Alpha Affiliate Award recipient!) and host alumni reunions, events and other activities. We count solely on alumni donations to continue operations. Please join these fellow contributors and add your name to the Honor Roll in support of our alumni organization. Any gift, big or small, makes a difference. Thank you for your support! Congratulations to Gary T. Jones (GA #1290) for his induction into the Georgia Tech Greek Hall of Fame. This is its inaugural year, and Brother Jones was among a very select group of impressive Georgia Tech Greeks who have made exceptional contributions to the betterment of school and community. Thanks for all you do Gary! The actives are looking for alumni or parent volunteers to champion Food for Finals and keep them fueled during finals week 2015. Our resident uber parent Tenley Stephens, better known to the actives as "Miss Choo-Choo", is stepping down from the role as her son Boice McGrew graduated this spring. Planning a Visit to Atlanta? You Should Be! Summer is the time for reunions, vacations, and relaxation. What better place to enjoy all those things then the city that shaped your college years- Atlanta! Getting a lot of publicity lately, Atlanta was ranked #2 on Movoto's "America's 10 Best Cities for 2013". Reminisce about the great times you had while grabbing a bite at The Vortex in Tech Square, or one of the hundreds of Atlanta staples. Take a tour the Tech campus (without having to deal with hordes of undergrads) and while you're there why not drop by the Sigma Nu house! The Atlanta Tourism Guide's site is full of great information to keep you updated on hotels, restaurants, sporting events, concerts, and more. Check out www.atlanta.com for the complete guide on everything you love most about Atlanta. While you're planning your trip don't forget to check out USA Today's 10 Best Things to DO in Atlanta. So come back to Tech, where you can relive memories and make new ones. Over 2,000 undergraduate degree candidates celebrated Georgia Tech's 274th commencement at two separate ceremonies held on Saturday May 3. Among the graduates were several Sigma Nu brothers. Congrats to these new members of our alumni association! To date, we have raised $8,516. This is 28% of our total goal of $30,000. Halfway through our giving year, we are relying on your support to increase these numbers. A lapsed donor mailing was sent mid-May to all brothers who have monetarily contributed to Sigma Nu in the past, but have not renewed their gift yet this year. The lapsed donor mailing is a reminder that Sigma Nu counts on your gift—every donation brings us one step closer to reaching our goal of $30,000. Make your gift online at www.sigmanugt.com or by calling 1-800-598-4050. Last Reminder: Annual Poker Tournament this Saturday! Just sending a last minute reminder: the Annual Poker Tournament is this Saturday, April 12, 2014 at 4 p.m.
We encourage you to attend the Annual Gamma Alpha of Sigma Nu Alumni Poker Tournament at 750 Fowler St.
Have you been wondering what Robert Bohannon '56, Robert Tatum '72, and Jeremy Atcheson '05 are up to? Help us track down our "lost" brothers by clicking here! Greek Week's fun and friendly competition wrapped up last Thursday. Full of events that showed the Tech community how great it is to be Greek, this year's partners included Tech Beautification Day, Relay for Life, the American Red Cross' Blood Drive, and a fundraising social to support the Atlanta community. Sigma Nu took part, gaining 25 points by participating in Flag Football, Super Splash, the Eating Contest, Mt. Olympus, and Relay for Life. Check out the great pictures posted by Greek Week, here. Click "Read More" for a list of events and breakdown of Sigma Nu's scoring! The Rose & Star - Coming Soon! Attend the Annual Poker Tournament April 12th! We encourage you to attend the Annual Gamma Alpha of Sigma Nu Alumni Poker Tournament at 750 Fowler St. on Saturday, April 12th, 2014. This annual tradition is one you surely won't want to miss! Click "Read More" for the event details! In order to encourage those Brothers of Gamma Alpha who may have fallen behind on their pledges, we have been able to round up several Brothers who would like to fund and issue an anonymous challenge match to those Brothers who make a payment on their pledge before June 1, 2014. Click "Read More" to learn how you can be a part of this great gift-matching opportunity and help the chapter! 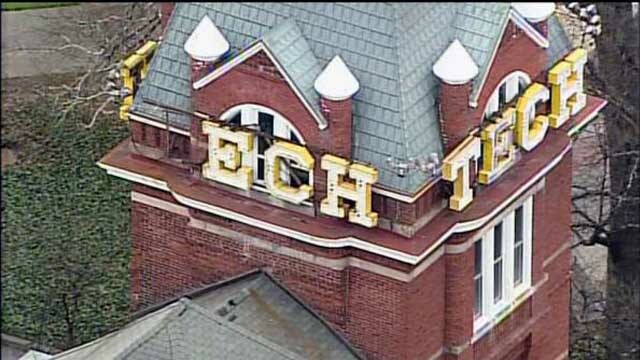 A tradition since the 1960s, Georgia Tech President Bud Peterson is looking to retire the tradition of “stealing the T” from the North Avenue Tower. Click "Read More" to learn how this tradition was started and share your thoughts! Spring is finally on the horizon as Georgia Tech announced the date for the 2014 spring football game! The game will be held on Friday, April 18. Game time will be announced at a later date, so look out for more details to come! Click "Read More" for more about the 2014 football season! Gamma Alpha Poker Tournament - Save the Date! We would like to invite all alums to the Annual Gamma Alpha of Sigma Nu Alumni Poker Tournament on Saturday, April 12, 2014. The tournament will be held at 750 Fowler Street and will start at 4:00 p.m. on Saturday. Click "Read More" to learn what's in store for this night of fun! On Sunday, February 9 from 11:00 am-3:00 pm, the Gamma Alpha Alumni Association held the 7th annual leadership conference with the officers from the active chapter. Every year we host this seminar for the actives in an effort to foster and hone quality leadership skills, as well as offer up 'best practices' advice on running the chapter. This event was very well attended by roughly 40 active brothers. Click "Read More" to learn more about this great annual event! Attention! 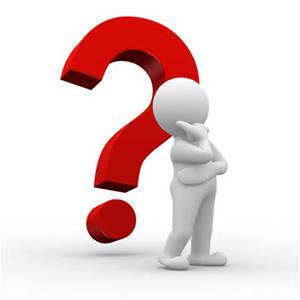 Do you know: George Tatum '67, David Adams '73, Arthur Genereux '80, Michael Shea '99, or Brandon Fierro '04? Click "Read More" to help us find and reconnect with these missing brothers and many more! Our Annual Fund Campaign began on January 1st, 2014, with a goal of $30,000. To date, we have received donations totaling $1,500, which means we have raised 5% of our goal. Donations have been given from 5 brothers, with an average donation amount of $300. Brothers who have already made a donation this giving year can be found on the Honor Roll, HERE. Click "Read More" to see the full annual fundraising update! Happy 2014! It's time again for Sigma Nu and the Super Bowl! Set the annual NFL championship game as your yearly reminder to make your contribution to Gamma Alpha. For the same price as what you might spend on pizza, wings or beer each month, you can make a meaningful donation to our chapter in support of our goal. This year's College of Chapters was all about visionary leadership. We--as leaders in our community, work, family--must inspire others to take action with a specific vision in mind. Just recently, Sigma Nu Commanders attended the College of Chapters to learn more about leadership, strategies for growth, and the "why" behind it all. We can't kickoff the new giving year without first thanking those brothers who so generously donated to our Annual Fund in 2013. Brothers are listed by giving level and then by initiation year. Click "Read More" to see the full list of men who donated to the Annual Fund between January 1 and December 31, 2013! In our last report, we officially launched PHASE II of our Capital Campaign for the new Sigma Nu house announcing a goal to raise $500,000 to reduce our mortgage down from $2.0 million to $1.5 million. GPAs at Gamma Alpha have been on the rise! We all know the obvious reason grades go up is because guys are focusing more on their studies and have fewer distractions. However there are often less obvious factors at play...stress and fatigue to name a couple. It is just plain hard to hit the books and efficiently absorb material and perform well on exams when you are running on junk food and lack of sleep, all the while missing the comforts of home. The fall 2013 issue of Gamma Alpha's alumni newsletter, The Rose & Star, is now available online. A plethora of news reports from the lives of our Sigma Nu brothers has just been posted to www.sigmanugt.com. Check them out to see who is kicking a** and taking names in their personal and professional lives. Click hereto read these updates and to submit your own. As the SNGT House Corporation celebrates reducing the house mortgage to less than $2 million, thanks to recent contributions from alumni donors, Treasurer Adam Fuller gives a breakdown of the ins and outs of the House Corporation and how it works to provide a house for actives and alumni to enjoy. Currently, only seven percent of our active members have supported the annual fund. It is our goal to have...every Brother...give $100 /year...every year...at a minimum. IMPORTANT REMINDER: Support for the Wiskott-Aldrich Foundation is desperately needed, whether you are able to attend this weekend's Alumni Goft Tournament or not. Also, this is your final opportunity to sign up for the tournament. Registration closes tomorrow night, 10/3 at 9 p.m.
From the Rumble Seat, a Georgia Tech Yellow Jackets online publication, recently lauded the always-fun Greek section at football tailgates. What’s your favorite tailgate tradition or memory? Beta Theta Pi’s suspension is remanded, Greek women are recognized for their philanthropic efforts and a new committee is formed to aid in funding for Greek events on campus. Oh, and did we mention it’s also the 120th anniversary of Greek life on Georgia Tech campus? Have you seen the changes on our website? To improve your online experience, we are excited to share our revamped web platform, complete with a visual overhaul and new features to make reconnecting easier. The website is still available at www.sigmanugt.com, but your username and password have changed temporarily (you can change yours back when you login the first time). I am delighted to announce that our chapter GPA for the spring semester came in at 3.24, the highest in fourteen years! This placed us fifth among IFC fraternities, well above the all fraternity average (3.08) and all men average (3.05). I couldn't be more proud of our academic success. What is your favorite Sigma Nu tradition? White Rose…fun evening and a chance to get “formal” once a year! In what ways have you stayed connected with Gamma Alpha in your alumni years? I managed the building of our new house in 2006/2007 and am an active participant in the Sigma Nu/Gamma Alpha Alumni Association, etc. Like all enduring legends, the story of how George P. Burdell made his debut at Georgia Tech has remained a mystery. But a likely account was told by William Edgar "Ed" Smith, BS 30, to theAtlanta Journal-Constitution Magazine in 1977. Smith, an Augusta, Ga., businessman, claimed creation of Burdell in 1927, when he was filling out his enrollment papers. He decided to turn in duplicates on George P. Butler, his high school principal and a staunch University of Georgia alumnus. After writing in George P. Smith got cold feet and finished the entry with the last name Burdell, the maiden name of his best friend's mother. Smith then added Burdell's name to the class rolls. He even took duplicate tests using Burdell's name, altering the handwriting just enough to disguise his writing and fool the professors into believing Burdell was indeed a student in their classes. By 1930, George P. Burdell had taken enough tests to "earn" a bachelor's degree from the Institute - he later received his master's degree and he became an official alumnus. At the same time, he has managed to maintain his student status. During World War II, George P. Burdell served in the armed forces on many fronts, his name appearing around the world. He was listed on the flight crew of a B-17 bomber, flying 12 missions over Europe with the 8th Air Force in England. However, when a Tech graduate became the new operations officer for the crew, he immediately recognized the name on the flight log, and Burdell's flying days were over. When Georgia Tech computerized its class-registration process in 1969, Burdell signed up for every course - over 3,000 credit hours. And despite subsequent fail-safe procedures to prevent it, he did so again in 1975 and 1980. The spirit of George P. Burdell remains alive. He continues to post letters to the editor, baffle insurance salesmen, and get paged at football games. He's also displayed a generous nature - his signature has appeared on numerous product rebate checks. As part of our annual decade challenge, we'd like to honor the top group of alums who had the largest number of individual donors to our annual fund. This year, we'd like to thank our brothers from the 60s for stepping up to support the legacy of Gamma Alpha. As you know, several years ago we embarked on a rather ambitious goal to raise $4.0 million to build a new Sigma Nu fraternity house at Georgia Tech. 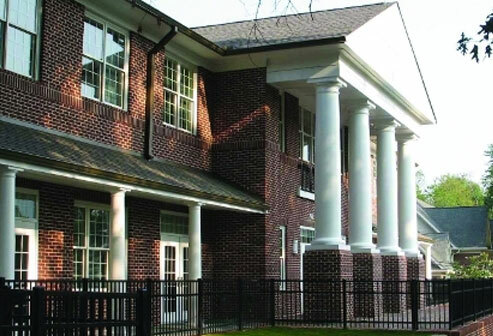 Amazingly, we received $3.4 million in pledges from the proud & loyal Brothers of Gamma Alpha which was truly remarkable and allowed us to complete one of the nicest fraternity houses on campus in 2007. Little did we realize that we were heading into The Perfect Storm of Recessions with a very challenging economy that has adversely impacted our fund raising and our collections. As a result, not only were we $600k short of our goal......over $500,000 in good-faith commitments from several well - intentioned Brothers have not been received as they and their families continue to face financial challenges. This adds up to a $1.1 million shortfall. This has put us in a very difficult situation as we have incurred debt in the form of a $2.2 million mortgage. We need to reduce this mortgage by a minimum of $500k so that the cash flow from the room rents can service the debt. Net Net.... Our goal is to reduce our mortgage by $500,000 before December 2013. That gives us 8 months. I am reaching out today to ask you to help Gamma Alpha of Sigma Nu pay down the mortgage on our new fraternity house . We desperately need your help! Pearce Connerat.....GA # 1046 ; Bill Lamb....GA # 1662 ; Al Hackney.....GA # 1262 ; Bill Loftis.....GA # 1431 ; Tom Carney..... GA # 1542 ; Tom Rawls.....GA # 1332 ; & Mike Skrynecki.....GA # 1600. Thanks To ALL ! Special thanks to Mrs. Nell Johnson, widow of Joel E. Johnson GA #960, who was initiated in 1956, for her very generous donation to the capital campaign for $5,000 in memory of her husband Joel. She says, "Joel loved Georgia Tech and Sigma Nu and would be proud to know the chapter continues to succeed." Follow in Nell's footsteps. Click here to make your gift to the capital campaign. Brent Reid GA #1507, president and CEO of The Winter Companies, continues to make a difference one brother at a time. This past month, Brent was named to the Atlanta Business Chronicles WHO'S WHO among business leaders who drive commercial real estate in metro-Atlanta, recognizing him as one of the most influential real estate personalities in the southeast. Brent graduated from Georgia Tech in 1982 with a B.S. in civil engineering. He received his MBA from the prestigious University of Chicago and joined The Winter Companies in 1984, where he started in an entry level position and became president and CEO in 2001. He now runs all of The Winter Companies (comprised of both Winter Construction and Winter Environmental), which is a major general and environmental contractor throughout the southeast. He continues to give back as a board member of Midtown Alliance and serves on the advisory board for the School of Civil and Environmental Engineering at Georgia Tech. He and his lovely wife Darcelle have three wonderful children: Brooke, age 24; Matthew, age 20; and Audrey, age 14. Matt Mckenna GA #1447; Bob Moore GA #1452; Steve McLeod GA #1460; Steve Schaetzel GA #1465; Jonathan Sangster GA #1467; Mike Edenfield GA #1480; Major General Kelly McKeague GA #1493; Christopher Troutman GA #1514; Greg Stevens GA #1522; Doug Sylvester GA #1532; Mark "Grandpa" Fouraker GA #1550; John Mize GA #1560; and Mike McCloud GA #1562.
Who says this is the LOST GENERATION? MAJOR "ATTA BOY" for BROTHER BRENT REID. Another brother who walks in the way of honor. Thanks, Brent, for all you do to MAKE US PROUD ! Thank you to the alumni donors who contributed $7,651 in February as part of our Sigma Nu and the Super Bowl annual fund campaign, making this the best annual fundraising month we've ever had! Join the momentum and help us turn the best annual fundraising month into the best annual fundraising year! If you haven't yet made your annual fund contribution, click here to make your 2012 donation. The chapter as a whole is progressing well academically and landed an overall GPA of 3.02 for the fall semester, setting them ahead of the campus average of 2.9 and the fraternal average of 3.0. Joe Gammie GA #2032 handed over the Commander's gavel to Pete George (GA #2036) and the chapter will continue to develop and improve under his leadership. The chapter is on pace to achieve status as a Sigma Nu "Rock Chapter," which would be the first in Gamma Alpha history. Joe was elected to High Council, which is a first for a Gamma Alpha. Congratulations to you for your personal achievements, Joe, and for leading the chapter in the right direction. This semester, in addition to their focus on academics and philanthropy projects, the chapter (with support from the Alumni Association) will launch a house maintenance program to ensure that our valuable asset on 750 Fowler Street is being well taken care of in a cost effective manner. A complete systems review along with a detailed maintenance schedule will be the outcome. Understanding the breadth and depth of maintaining the property, the Alumni Association has granted its full support and active cooperation with this endeavor to "protect the investment." Additionally, with respect to alumni involvement, it is expected that the much anticipated Gamma Alpha Online Career Site will be launched this winter. Simply put, this tool will allow actives and alumni to share career and business opportunities. Unlike what was available during most of our time as actives, alumni are now available to mentor brothers, provide career advice, and participate in Leadership Council sessions. The interaction has proven to be a two-way street as the actives are now reaching out to various alumni and are planning events to involve the alumni, like golf tournaments and parties. Having just completed a Leadership Development Meeting that included 95% of the active chapter and a group of alumni, I can tell you that the chapter is in good shape and is full of strong leaders and a diverse set of personalities. They have recruited a strong group of honorable young men as pledges and are expected to have a 100% retention rate with this group. You all should be proud. On Sunday, January 27th, the Gamma Alpha Alumni Association hosted its 4th annual Leadership Seminar in the College of Management. The purpose of this event is to pass along valuable management advice and counsel from our alumni to the active chapter. Our first session was in 2010 and was such a huge success that we have continued the tradition each year, following the election of the new slate of officers. It is events like this that make us all proud to be members of Sigma Nu! Please make your gift to the 2013 Annual Fund! Remember, it is our goal to have every brother give $100/year, every year. We look forward to an incredible 2013 for all Gamma Alphas! No matter how far away you are today, you share a great experience with 1,214 other brothers: getting to spend four (or more!) years living in Atlanta. Watch for your copy to arrive in the mail! We wanted to give you a progress report re the Capital Campaign for the new Sigma Nu fraternity house. As you know, we have been working on this campaign for 10 years...and in so many ways, we have a great deal of which to be proud. However, we still have some fundraising to do. As you know, several years ago we embarked on a rather ambitious goal to raise $4 million to build a new Sigma Nu fraternity house at Georgia Tech. The overall total cost of the project came in over $5 million. Each year, when you are watching the Super Bowl (or even hear about it in some way), we want you to think of making your donation to the annual fund. "Sigma Nu and the Super Bowl" should be your reminder to make your donation for the year. The two will become synonymous. Please make your annual fund contribution after this weekend's big game. We look forward to an incredible 2013 for all Gamma Alphas! Any dating advice you'd like to pass on to our young undergraduate brothers (or suggestions of places to take dates)? We wanted to share a few pictures from finals week. The Parents Club provides meals & goodies for the brotherhood. It is a wonderful tradition and one that is certainly appreciated and enjoyed by the brothers! McKinney V. "Mac" Taylor '52 shares what it was like to be in the original House, what the chapter was like then, and what life is like now. Thank you, Mac, for the update and for staying true to Sigma Nu... for 60+ years! How has Sigma Nu influenced your life? 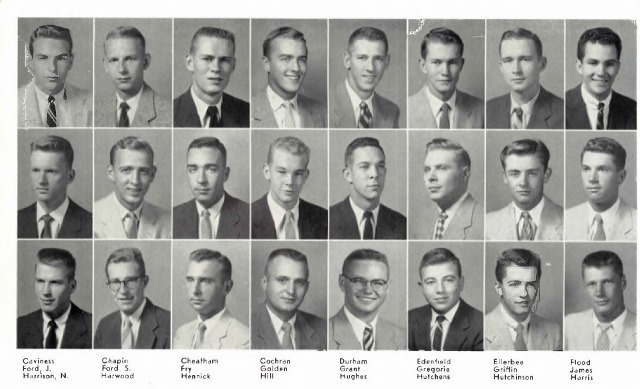 I entered Georgia Tech in 1947 and pledged Sigma Nu that fall. I had just graduated from high school in Owensboro, KY but was privileged to be in Gamma Alpha with a lot of returning veterans: Rodger Brown, Bill Maier, Gene Bowers, and others. These mature, seasoned veterans were a very positive influence and were very instrumental in the survival of our chapter when we lost our house. We met in a classroom for chapter meetings. Eventually and successfully, we built a new frat house which has just been replaced with a new one. I thoroughly enjoyed being one of the first occupants of the new frat house and serving as the house manager. It was certainly a home away from home and I have many fond memories of my three years living in the new frat house and helping with the work it took to make it our home. I just had a triple heart bypass and I'm recovering on schedule. Jan and I are the proud parents of five children, 20 grandchildren and currently five great-grandchildren. I retired from the precast/prestressed industry at age 79 and we have successfully downsized to a lovely apartment at 4841 Garden Spring Lane, Apt. 103, Richmond VA 23059, where we receive visitors. Get involved by answering this month's question: How are the values you learned in Sigma Nu still making an impact in your life today? George York '66 writes: The values I learned at Sigma Nu have helped me appreciate the importance of maintaining relationships with old friends and giving something back to the community.